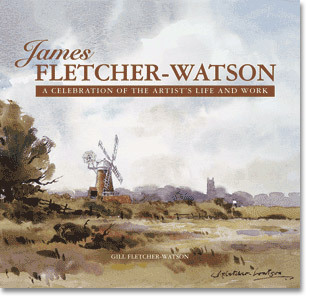 BOOK: JAMES FLETCHER-WATSON: A CELEBRATION OF THE ARTIST'S LIFE AND WORK. An inspiring collection of paintings, celebrating a lifetime of work by the artist. Hardback, 144pp. James Fletcher-Watson found inspiration wherever he travelled, and enjoyed painting in many parts of the world. The result of so much travel is a wonderful legacy of masterpieces from all over the world, many of which are reproduced in this superb book.